Vein Specialist is a Phlebologist: Find out how many years and procedures? Dr. Ken Harper MD And Terri Harper APRN, FNP-C own Vein Specialists of the South. I love them and have worked with Terri for 15 years in our national organization AMERICAN COLLEGE OF PHLEBOLOGY This article too good, not to share! “Whether you have noticed varicose or spider veins yourself or your physician points them out to you, it is not always clear who should be seen by a vein specialist. This blog will help you know when it is time to make an appointment. Should you wait until you have symptoms or is OK to go when your veins are only a cosmetic concern? The truth is that you should see a vein specialist if you have concerns about your veins, legs, or circulation, whether they are medical or merely aesthetic. After all, it is better to get checked out for peace of mind, and remember early diagnosis and intervention can prevent worsening of your vein condition. How Do I Know When To See A Vein Specialist? Many of you may wait to schedule an appointment until you are experiencing clear outward symptoms. But since the signs of venous disease can be subtle this may not be the best choice. 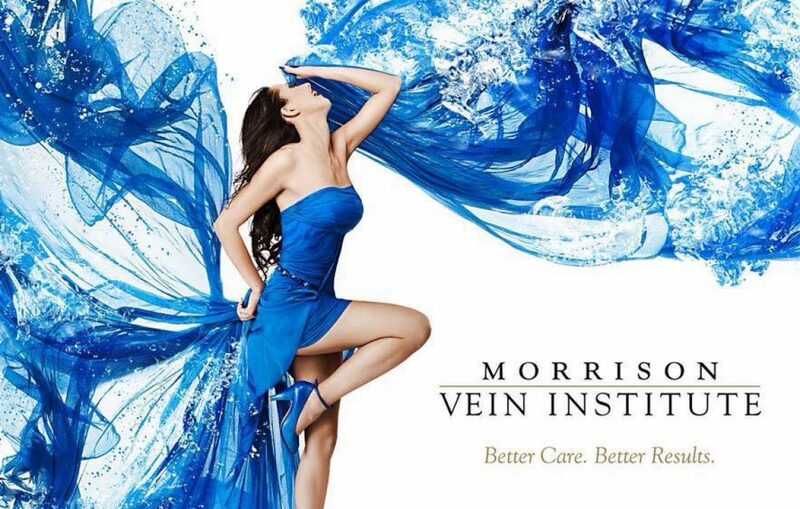 Symptoms don’t have to be severe to warrant a trip to a vein specialist. Since some primary care providers may not be familiar with the advances in vein care it is important that you be your own advocate. You can always ask for a referral is you are concerned. In fact your physician may refer you to a vein specialists despite having no symptoms at all. Factors to consider are your family history, medical background, high-risk lifestyles, or medications that increase the likelihood of developing complications of venous disease. Do You Have Symptoms Of Vein Disease? Often the first symptom of venous disease are visual: a telltale network of spider veins or bulging varicose veins just below the surface of the skin on the legs. Since varicose veins tend to get worse without treatment, additional symptoms may follow. These symptoms include legs cramps especially at night, swelling, pain, heaviness, burning, itching, or fatigue in your legs. You may also notice frequent sores or rashes. Even restless leg syndrome, can be a sign of underlying venous disease. Untreated venous disease and it’s symptoms are progressive. It can lead to complications including swelling, skin changes like rashes, discoloration and ulcers in the ankle area. Superficial veins can bleed and varicose veins can develop a blood clot or superficial vein thrombosis (SVT). If you have a SVT you may notice a tender lump in your leg where there used to be a bulging varicose vein, which is due to inflammation of the thrombosed vein. The problem is that the tenderness or swelling could also be a sign of deep vein thrombosis, a true medical emergency. If you notice a lump, or if your leg suddenly becomes swollen and painful, seek medical attention right away. Do You Have A Family History Of Vein Disease? The primary risk factor for developing vein disease is genetics. That’s right you can inherit bad veins. Numerous studies support that genetics as a major risk factor. Comparing blood and tissue samples from more than 6,000 people who suffer from varicose veins with those who do not, researchers found that changes in the FoxC2 gene appear to coincide with an increased risk of varicose veins. Patients with two or more FoxC2 genes changes were found to have a seven times higher risks of varicose veins than those with unaltered FoxC2 genes. There is evidence to suggest that varicose veins and other types of vein disease run in families. If you have varicose veins, chances are a parent, grandparent, or other relative does, too. Other conditions affected by genetics that may cause an increased risk of vein disease include obesity which often runs in families. How To Know If You Are At High Risk Of Developing Venous Disease? Even if you don’t have symptoms of vein disease, knowing your risk factors can help you know when to seek help. An evaluation by a vein specialist is simple and can help you detect venous issues before symptoms and complications emerge. While family history appears to be the top risk factor for venous disease, it’s not the only one. Women are more likely to develop venous disease than men, which is mostly due to hormones. Female hormones relax the walls of veins, so periods of hormonal imbalance and fluctuation, which may occur during pregnancy, premenstrually, and during menopause, may trigger vein disease. Also, hormone replacement therapy and hormonal birth control may increase your risk. Obesity is another risk factor for vein disease. Extra weight puts increased pressure on the leg veins, and can lead to venous disease. There are definitely occupational risks. People who stand or sit for long periods of time are at increased risk of venous disease. If your job or your favorite pastime involves either, lifestyle changes could reduce your risks. Age is, also, a risk factor for vein disease. As you age, the check valves in the veins that keep blood moving and prevent it from pooling begin to wear down. When this happens, the venous blood can flow backward causing the veins to become varicose. Previous What Makes Foam Sclerotherapy Safer? Next Why Do We Insist On Compression Socks or Stockings Post Vein Care?